The Medicare Access & CHIP Reauthorization Act of 2015 (MACRA) replaces the Sustainable Rate Growth (SRG) formula for Medicare payments to providers. The program shifts the way Medicare fees will be paid starting in 2019, from a service-based model to a performance-based model which incentivizes the end-value brought to the patient. 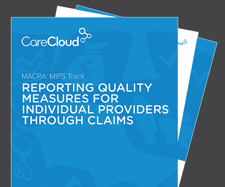 MACRA’s value-based reimbursement system is called the Quality Payment Program (QPP), with two paths for participation: the Merit-Based Incentive Payment System (MIPS) and Advanced Alternative Payment Models (APMs). 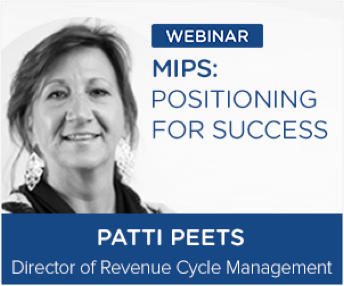 In this on-demand webinar you’ll discover how to streamline your 2017 MIPS reporting to increase your medical group’s potential for Medicare Part B bonuses. If you are one of the over 400,000 providers that CMS expects to be affected by MIPS and want to avoid the 2019 MIPS penalties, the clock is ticking. 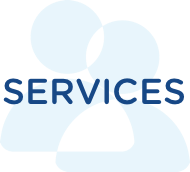 Or maybe you have a plan for this year but don’t know what is changing for 2018. 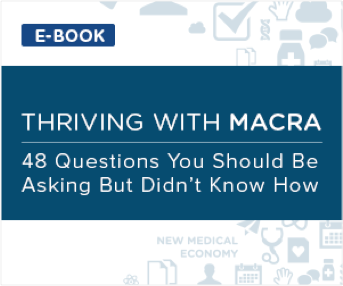 The transition to value-based care is one of the major challenges faced by medical groups today. 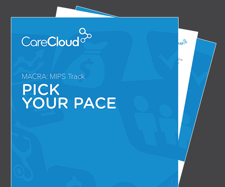 With so many options for demonstrating performance for the new MIPS program under MACRA, it can be overwhelming to figure out how to transition to the new system and avoid penalties. If you bill more than $30,000 and care for more than 100 Medicare Part B patients per year, you are subject to MIPS reporting beginning on January 1, 2017. For 2018 the thresholds go up to $90,000 in billing and more than 200 Medicare Part B patients. 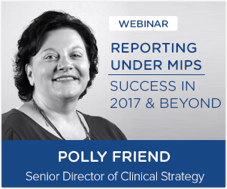 MIPS eligible clinicians (physicians, physician assistants, nurse practitioners, clinical nurse specialists and certified registered nurse anesthetists) will be required to participate in one of the two QPP tracks in order to avoid negative payment adjustments up to -4% in 2019, increasing yearly to -9% per practitioner by 2022. 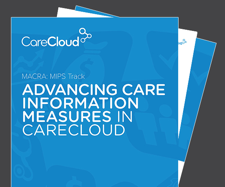 The MIPS Dashboard is a seamlessly integrated component of the CareCloud platform, developed in partnership with a certified CMS registry. 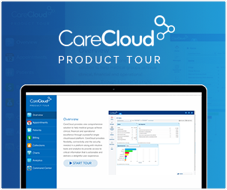 CareCloud clients can quickly select measures, check what the requirements are, and track progress. 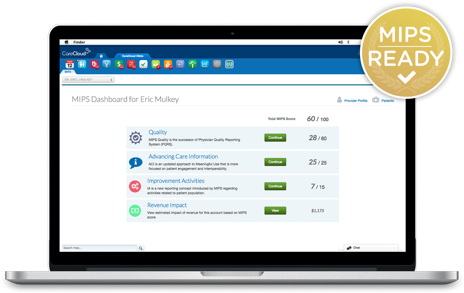 The dashboard also calculates the potential revenue impact in real time, and enables providers to submit measures directly from the system, avoiding the hassle and inefficiency of having to report performance separately. 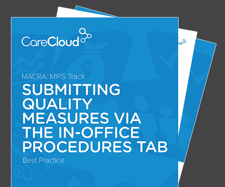 Together with a customized action plan created with your client manager, CareCloud is helping clients thrive under MIPS and avoid reporting headaches – all completely free of charge.